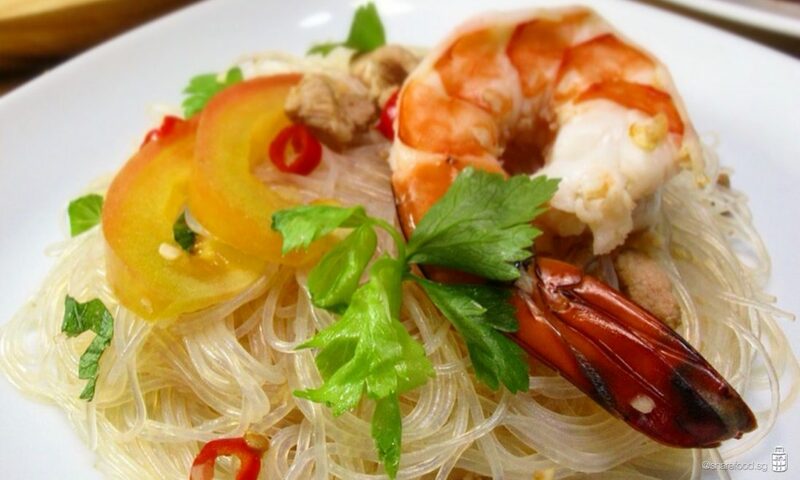 Apart from the famous Thai Green Mango Salad which most Singaporeans love, Thai Spicy Glass Noodle Salad is something that Singaporeans would fall in love too. 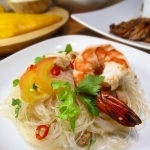 There are other Thai salads such as Papaya Salad, Mince Meat Salad and more. As for myself, I love the Spicy Glass Noodle Salad. What I like about the Spicy Glass Noodle Salad is that it does not soak in the sauce nor turn soft. It maintains the 'Q-ness' and the sauce engulfs around the noodle, turning the dull glass noodle into a flavourful one. This is also a good '开胃' dish as the sweet and sour blend kick start the senses on your tongue, and the glass noodle ain't too heavy for a starter as well. What I like about the Spicy Glass Noodle Salad is that it does not soak in the sauce nor turn soft. It maintains the 'Q-ness' and the sauce engulfs around the noodle, turning the dull glass noodle into a flavourful one. This is also a good '开胃' dish as the sweet and sour blend kick start the senses on your tongue, and the glass noodle ain't too heavy for a starter as well. 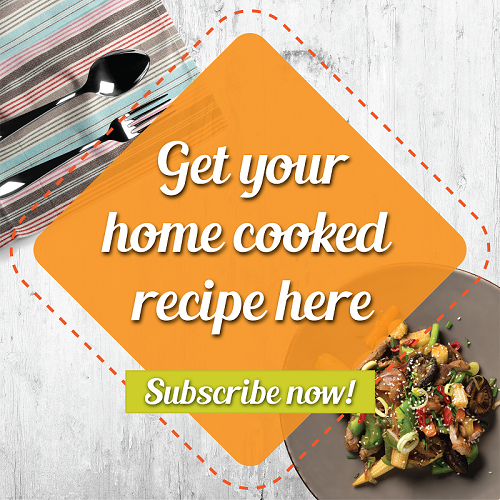 Top with pound cashew nut or peanut (optional). After boiling the glass noodle, immediately soak it in ice water. This prevents the noodle from drying and sticking up. In the event if you miss this step, you can still re-boil the glass noodle, but avoid boiling it for too long. Brown sugar is highly preferred than white sugar. Brown sugar melts easier which allows you to stir and mix with ease together with the fish sauce. In the absence of brown sugar, you can also use white sugar, just that it takes longer time to melt, alternatively, add a bit of hot water to dissolve the fine particles first before mixing it with the fish sauce.